Back in the 1990s in Maui, wild-eyed men were getting launched out of the water as they tried to control uncooperative, two-lined kites that had the pulling force of a truck. Thankfully, kiteboarding looks a lot different today; it’s now safer and easier to learn than ever before, as well as one of the most fun activities to try on vacation — or pick-up recreationally. If you’re getting ready to dip your toes into the world of kiteboarding, note that warm water and sunny weather make all the difference. It is possible to learn on the blustery coast of Ireland or the frost-coated shores of Alaska, as some do. But with so many palm-lined, warm beaches, why subject yourself to a 6mm wetsuit and frostbite? These tropical beaches are the best places to try kiteboarding around the world. Cabarete has long held a special spot in the hearts of the traveling kitesurf tribe. It’s been the location of choice for scads of international competitions, including the brand-spanking-new GKA Air Games that took place in July. Cabarete’s best kiteboarding season runs throughout the summer months, peaking between June and September. If you’re a beginner, July and August are the best months to visit, thanks to the super reliable wind and easy-going water conditions. The strong summer breeze and postcard-perfect beaches are more than enough to have us packing our board bags, but top it all off with Cabarete’s awesome surf, and you’ve really got yourself a winning adventure destination. Aruba is perfectly positioned in the path of trade winds that blow virtually every day through this stretch of the Caribbean. The wind direction also stays more or less unchanged around the clock. No surprise that one of the world’s top three female freestyle riders, Annabel Van Westerop, calls Aruba her home. 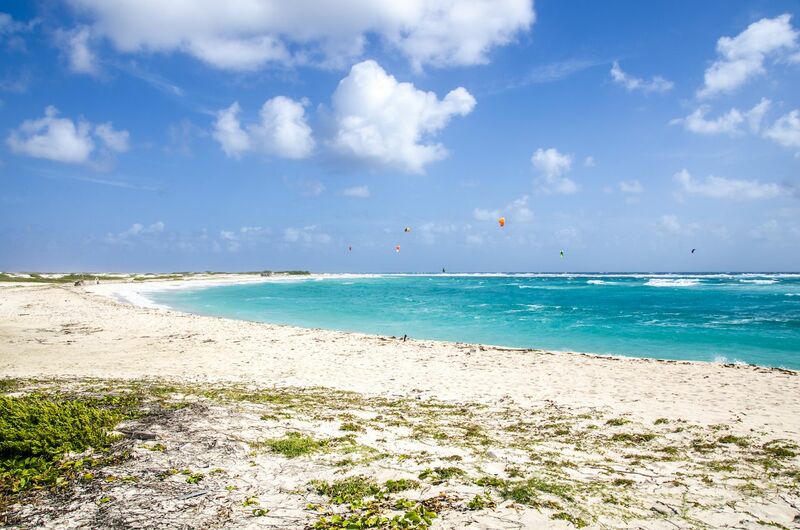 While it’s usually the high-rise hotels and buzzing social scene of Palm Beach that attract the bulk of Aruba’s visitors, kiteboarders are better off heading to Boca Grandi on the southeast coast of the island, just a 45-minute drive away. Not only are the wind conditions much better down there, you’ll also be in the right place to escape the crowds at the popular tourist beaches. Brazil’s long, winding coastline is packed with kiteable spots — but the pick of the bunch is Jericoacoara, with its buzzing kitesurfing community and reliable winter wind season. 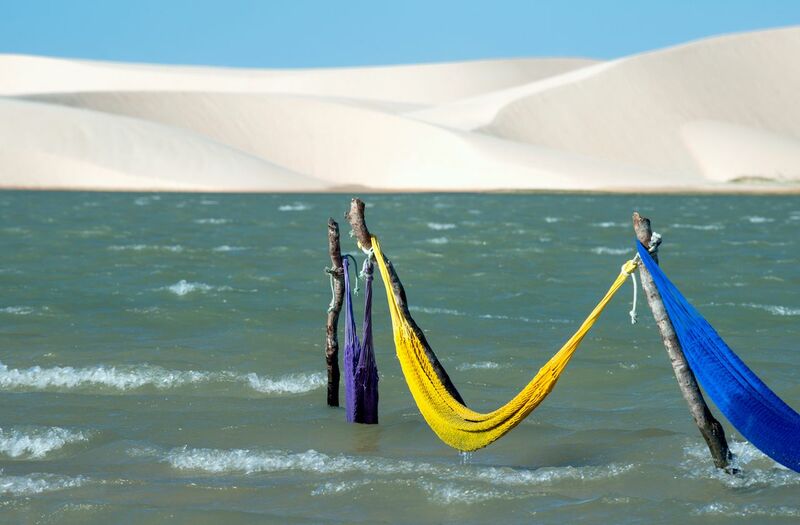 Bordered by a smattering of freshwater lagoons on one side and the lush national park on the other, Jericoacoara sits in its own private little corner tucked away behind the sand dunes. Head there between September and March to score the best conditions; you’re pretty much guaranteed wind within these months. Flatwater lovers will be in their element when visiting protected spots like Barrinha and Tatajuba, while wave riders will do well to hit the open ocean just before Guriu. The kiteboarding community is no stranger to Sri Lanka. 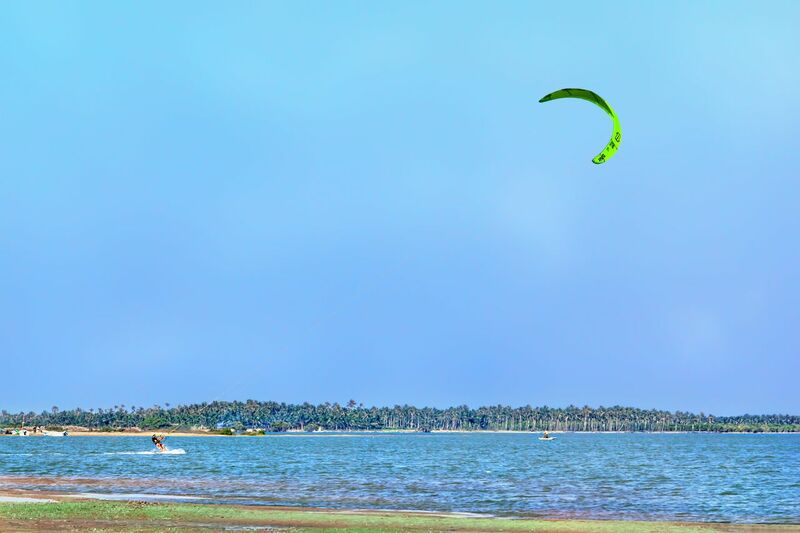 The windswept lagoons of Kalpitiya on the country’s western coast have been a hub of kiteboarding activity for a solid 10 years now. Kalpitiya’s explosive reputation within the kiteboarding world has seen the little fishing town fill up with tourists year after year, pushing some of the more adventurous locals to discover new spots to ride along the Sri Lankan coast. Located in the far northwest, Mannar is the latest craze on the Asian kitesurfing scene — and for good reason. The place is all butter-flat water and strong, stable wind. You can even kite at Adam’s Bridge, the famous underwater shoal that’s thought to have once connected Sri Lanka to mainland India. Kitesurfing here is an absolute dream; small wonder it’s earned itself a prized spot on the list of best places for kitesurfing in Asia. There was once a time when the words “kitesurfing” and “Philippines” automatically meant Boracay, but since the island’s temporary closure earlier this year, some of the country’s lesser-known kite spots are finally getting their time to shine. 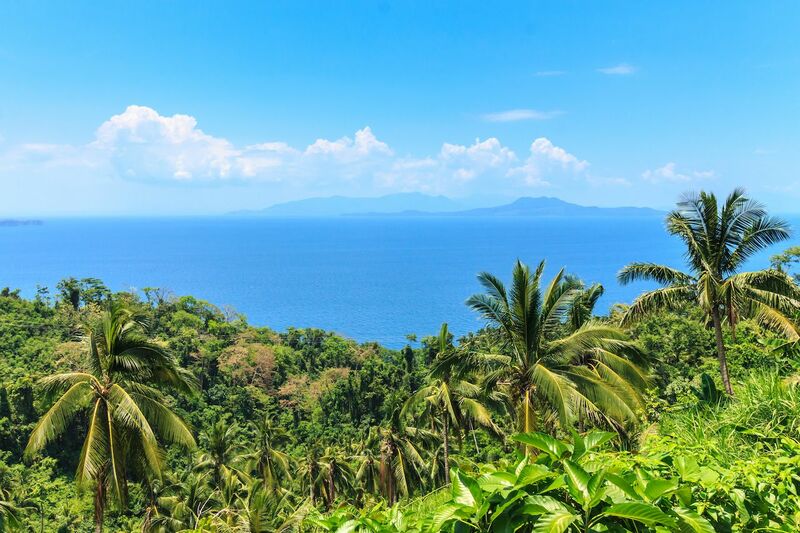 Mindoro is a crowd favorite thanks to its incredible downwind routes and island-hopping opportunities. And on land, you’ve got your pick of jungle treks and mountain-biking trails. The best wind season runs from November until April, during which time you’ll also be treated to blue skies, warm weather, and very little rain. Mindoro’s kitesurfing beach is spacious and safe, with plenty of room for beginners to get to grips with handling their kite. After tiring yourself out from a full day on the water, chill in your very own glamping tent and enjoy falling asleep to the sound of the ocean. Mauritius is a much-loved destination in the water sports world. 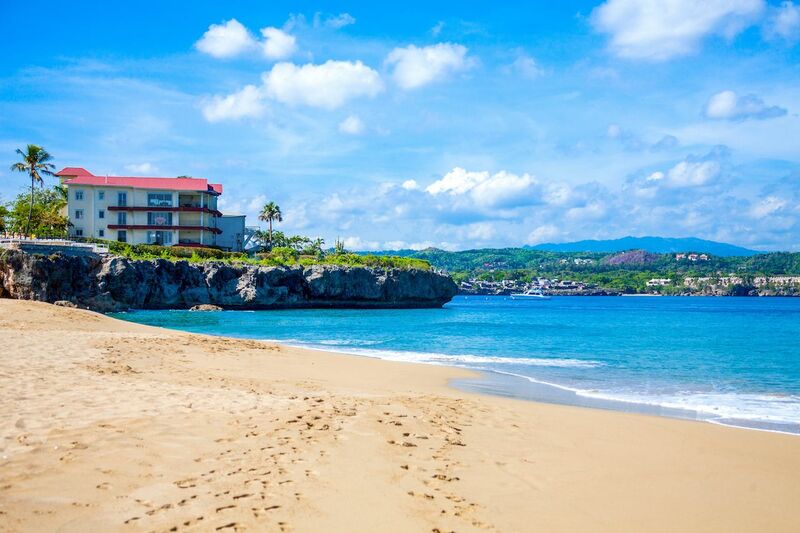 Surfing, kitesurfing, sailing, and diving are all on the menu here. And off of the water, you can explore rainforest hiking trails and picturesque hidden waterfalls, or spot exotic wildlife like flying foxes, macaques, and giant tortoises. Home of the famous wave One Eye, the southwest of the island is absolutely covered in kitesurfing spots. This isn’t one for the faint of heart though, as it’s known as one of the world’s fastest and most powerful waves. Beginners will do well to steer clear of One Eye and head for the flat water lagoon at Le Morne instead. Hawaii is where it all started in the ‘90s, and today the kitesurfing scene is thriving more than ever before. The trade winds blow perfectly sideshore across the vast, sandy kite beaches in Maui. That makes it an ideal spot for beginners to find their feet on the board for the first time — as well as a playground for more experienced riders. While Hawaii is famously known for its monster-sized surf, Maui offers a mix of conditions that’ll suit riders of all levels and styles. 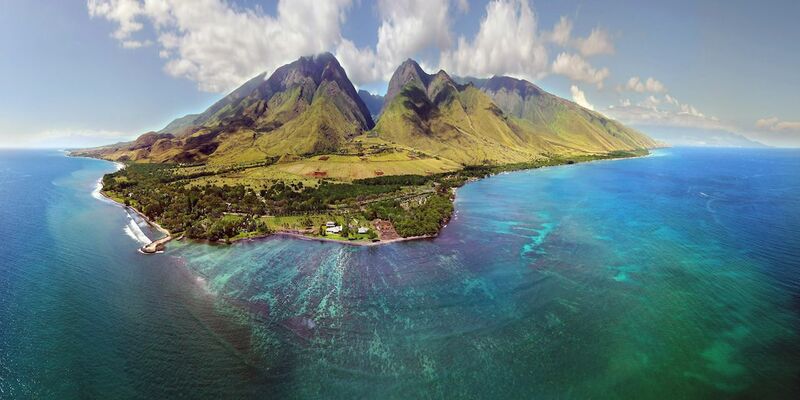 Apart from kiting, it’s also an ideal place to snorkel, paddleboard, and hike.